Detef Stammer is a professor of physical oceanography and Earth system remote sensing at the Universität Hamburg in Germany, where he is director of the Center für Erdsystemforschung und Nachhaltigkeit. His research interests include ocean and climate variability analyzed from ocean and climate data in combination with ocean and climate modes (assimilation). The use of satellite altimetry and other satellite observations for studies of ocean circulation, ocean dynamics, and mixing and eddy transports are central to his work. One such aspect is the use of altimeter data for quantitative testing of general ocean circulation models. He has published more than 180 articles in international journals and was the lead author of the Fifth Intergovernmental Panel on Climate Change Working Group I Assessment report. He has served on several national and international scientific committees and is fellow of the American Geophysical Union. Anny Cazenave is senior scientist at the Laboratoire d’Etudes en Géophysique et Océanographie Spatiale, Centre National d’Etudes Spatiales, Toulouse, France, and director for Earth sciences at the International Space Science Institute, Bern, Switzerland. Her research deals with the applications of space techniques to geosciences (geodesy, gravity, and solid Earth geophysics; sea level variations and the study of climatic causes; global water cycle and land hydrology from space; and climate research). She has lengthy experience in using satellite altimetry for studying the marine geoid, land surface waters, and sea level. She has published more than 200 articles in international journals and has edited several books. She has contributed as P.I. or co-I in geodesy and oceanography for several space missions and has served as the lead author of the Intergovernmental Panel on Climate Change Working Group I (fourth and fifth assessment reports). She is fellow of the American Geophysical Union, a member of the French academy of science, and a foreign member of the U.S., Indian, and Belgian academies of science. "Satellite Earth Observation is critical to understand planet processes, particularly those that are changing at human scales as a result of our interaction with natural cycles. Accurate measurements of oceans and ice heights are very important to understand the impacts of climate warming on oceans and coastal areas. Drs. Detlef Stammer and Anny Cazenave have gather an impressive list of scientists working on satellite altimetry to offer an excellent vision on the satellite altimeter missions and their relevant applications. 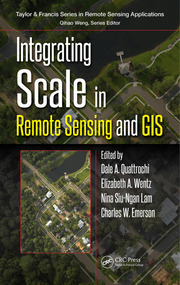 A very recommended reading for oceanography, hydrology, climate and remote sensing students." 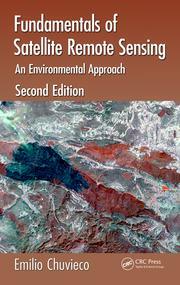 "This book will be for many years the central resource for users of satellite altimetry data. Anyone interested in how the measurements are accomplished and how they can be used in any of these scientific fields---including the greatly improved knowledge of the oceanic general circulation and its consequences---will find reading this book an essential step." "This book is a timely update on the current state of knowledge on the use of space-based altimeters for the study of oceans, coasts, polar regions and inland water bodies. The book is comprehensive in treatment of all subjects related to space-based altimeters. There are about 90 global experts serving as co-authors. They have been in the forefront of advancing the science and technology of satellite altimeters and their application, including data assimilation and operational oceanography, during the past few decades. As such, the book and its contents benefit greatly from the knowledge, expertise and first-hand experience of its authors. The book can serve as a combination of text and reference for teaching and research, especially for graduate students and early career scholars." 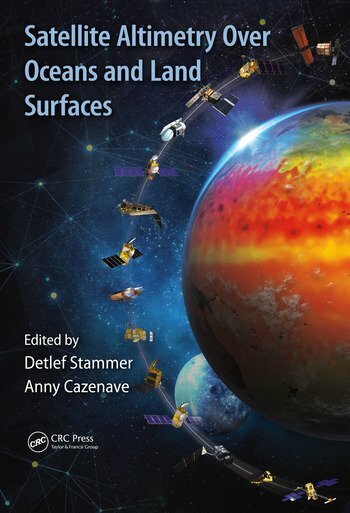 "Satellite Altimetry Over Oceans and Land Surfaces is the new reference textbook on satellite altimetry that includes contributions from many of the leading experts in the discipline. 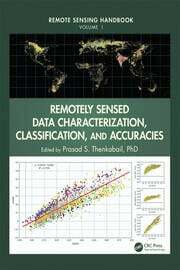 This book includes an entire chapter on coastal altimetry, Satellite Altimetry in Coastal Regions, which reviews the many technical improvements (including processing enhancements designed and implemented at the National Oceanography Centre,), lists the reprocessed datasets that are becoming available, and illustrates the many diverse applications of the coastal altimetry data."